Can’t utilities at least catch up to the government in their customer connectivity skills? Utilities are lagging behind most of their private-sector peers, and even many government agencies, when it comes to using digital technology to reach their customers. That oversight is costing them money today -- and in the future, it could start losing them customers. 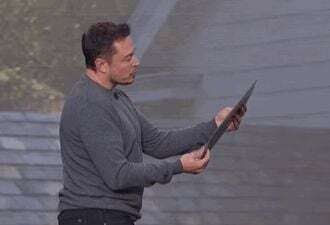 Long-time readers of Greentech Media are familiar with these kinds of critiques, and now consultancy Booz Allen Hamilton is out with a new report that offers up some suggestions for fixing the problem. The “Digital Migration for Electric Utilities” report pulls together lots of fresh data to highlight how utilities are starting to bridge this digital divide, and how far they still have to go (PDF). They’re starting from behind. In a time when many people conduct much of their personal and professional business from their smartphones, only 26 percent of the utilities sampled in a 2014 investigation offered mobile applications to their customers, the report found. That certainly makes it more difficult for utilities to push their messages to consumers on the go. That’s too bad, because those kinds of features make a big difference. Over the past four years, utilities that have invested in rich features and functionality have seen their web traffic grow much faster than has the mass of utilities that have left them alone, as the following chart indicates. 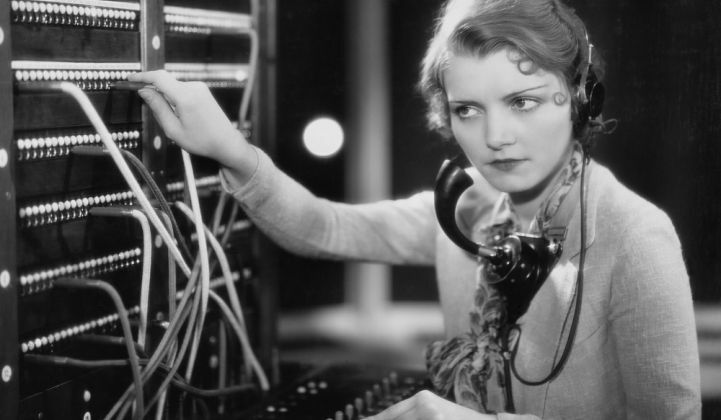 No wonder so few utilities are going mobile, if that’s the kind of reception they’re getting. But it doesn’t have to be that way. Booz Allen lays out a series of suggestions across the categories of technology, operations and incentives. In simple terms, technology is all about how to reach, connect and interact with customers, operations management is about how to make that interaction part of the broader utility enterprise, and incentive management is about how to turn a portion of the utility’s cost reductions and potential revenue streams back to the customer. The technology-focused advice will be familiar to students of social media and digital marketing: keep the format and messaging consistent across multiple platforms, and make sure they work at a level of quality consistent with all the online and mobile services customers get from the rest of the world. Utilities should also start using every customer interaction, whether it's a bill insert or a complaint call, to pump their digital and online offerings. Booz Allen also suggests investing in market and customer segmentation to fine-tune messages to different demographics. But no matter how persuasive a utility's message might be, money talks even louder. Utilities should be able to obtain significant cost reductions by digitally engaging more customers. For example, Booz Allen found that customers receiving e-bills are 64 percent less likely than paper bill recipients to call live customer service. 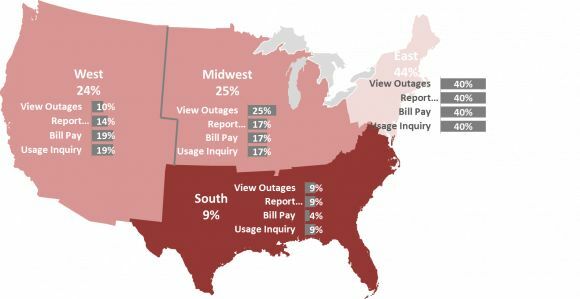 A 2011 study for Chicago utility Consolidated Edison showed they’re 22 percent more likely to make on-time payments than paper bill recipients. The report suggests they give part of those savings back to customers when, say, they pay their bills online, or get friends or family to sign up for the utility’s new mobile app. At the more ambitious end, online communities of like-minded customers could participate in energy efficiency competitions or crowdsource common questions about new programs and payment schemes -- as well as serve as rich veins of data for utilities to mine, the report added. But utilities have a long way to go with their Facebook and Twitter outreach -- barely 11 percent of social media users reported using social media services to communicate with their utility companies, according to a 2012 Pike Research survey cited in the report. Vertically integrated utilities hold monopoly power over their customers today, but the spread of distributed energy -- rooftop solar, backyard batteries, net-zero-energy homes -- is starting to change that. Retail energy giants, third-party solar installers, telco and broadband providers, home security firms, and deep-pocketed challengers like the Google/Nest Labs/Dropcam triumvirate are making inroads into residential energy in a way that could threaten utilities long-term financial stability. Maybe that’s why utilities are promising to take this seriously. Wednesday’s report cited a 2014 Utility Week/Wipro survey that asked utilities to rank their customer “centricity,” including their use of digital communications. Only 14 percent ranked themselves as "excellent" today -- but 62 percent expected to be there within the next year.